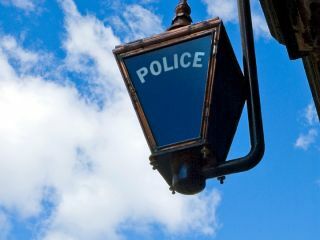 The Metropolitan Police has confirmed that it has bought software to track suspects' online movements and communications. The software, named Geotime, is already in use by some police departments in the USA, and is used to build a three-dimensional graphic of a person's online activity. It does so by mapping data from social networks, sat navs, online financial transactions, mobile phones and IP logs. All that data could build up quite a revealing picture – would you really want anyone knowing everything you do online at all times? – so it's no wonder that privacy groups are up in arms about the possible misuse of the software. While Geotime could, potentially, be used to prevent major crimes, the software could just as easily be used to track innocent suspects, leaving their data protection rights in tatters. A statement from the Met reads, "We are in the process of evaluating the Geotime software to explore how it could possibly be used to assist us in understanding patterns in data relating to both space and time. "A decision has yet to be made as to whether we will adopt the technology [permanently]. "We have used dummy data to look at how the software works and have explored how we could use it to examine police vehicle movements, crime patterns and telephone investigations." The MoD is also looking into the Geotime software, but is not thought to have actually purchased it – yet.